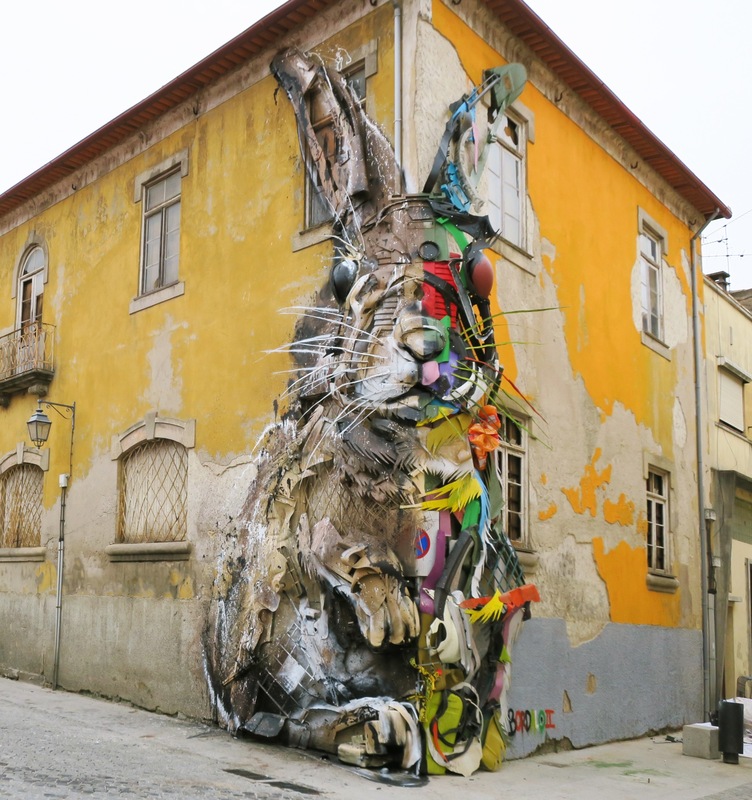 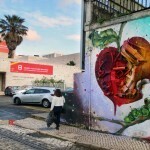 Our friend Bordalo II just sent us some sweet images from the latest installation he just finished somewhere on the streets of Vila Nova de Gaia in Portugal. 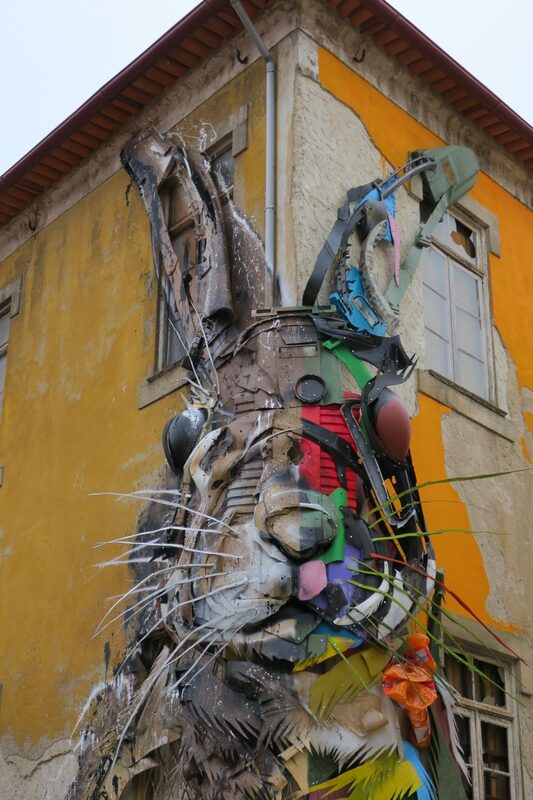 In town with the good people from Mistaker Maker, the Portugese artist unveiled this rather amazing piece which is entitled “Half Rabbit”. 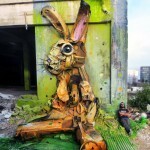 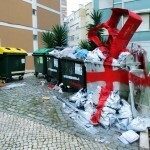 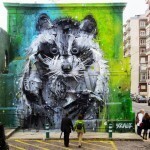 This may be our all time favorite Bordalo II piece to date! 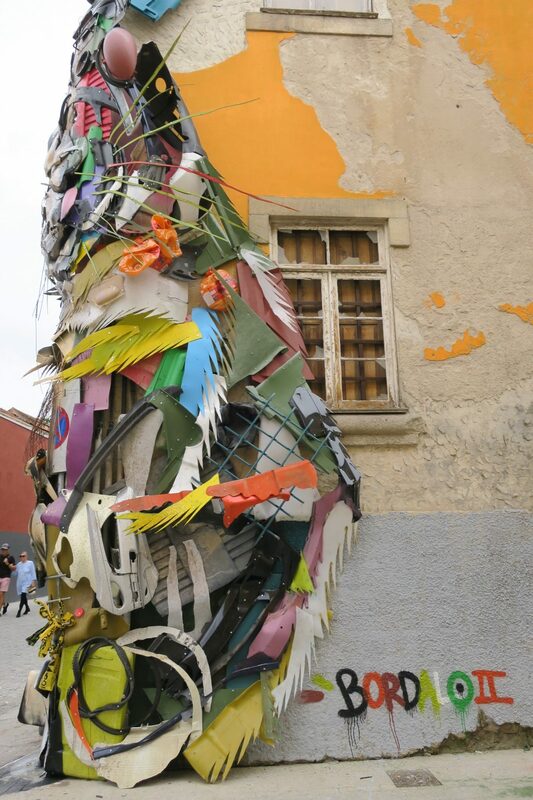 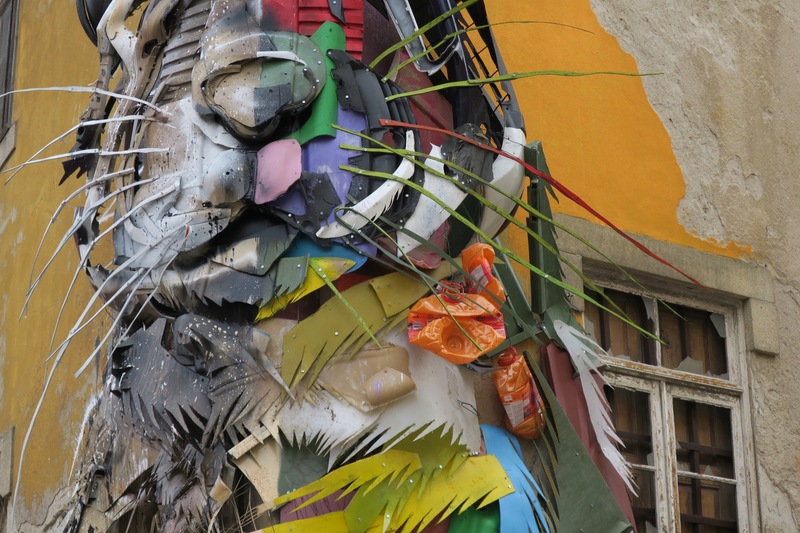 As usual the piece was created using found materials and trash gathered around the city. 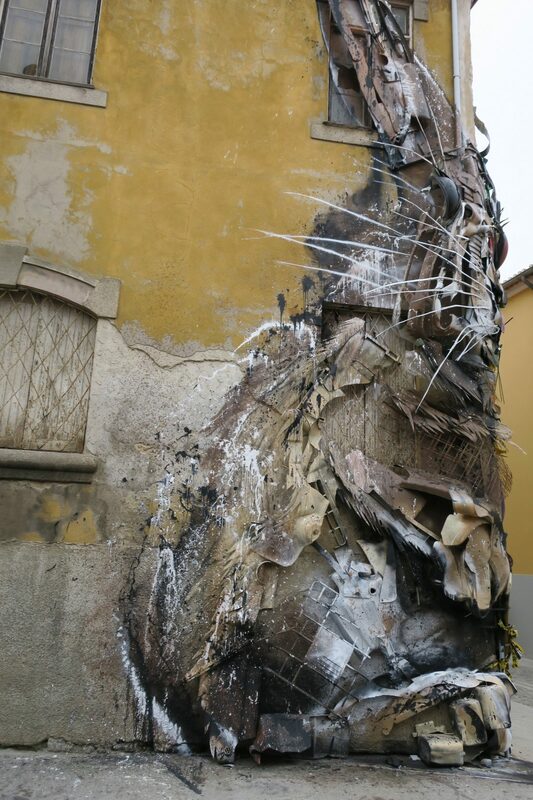 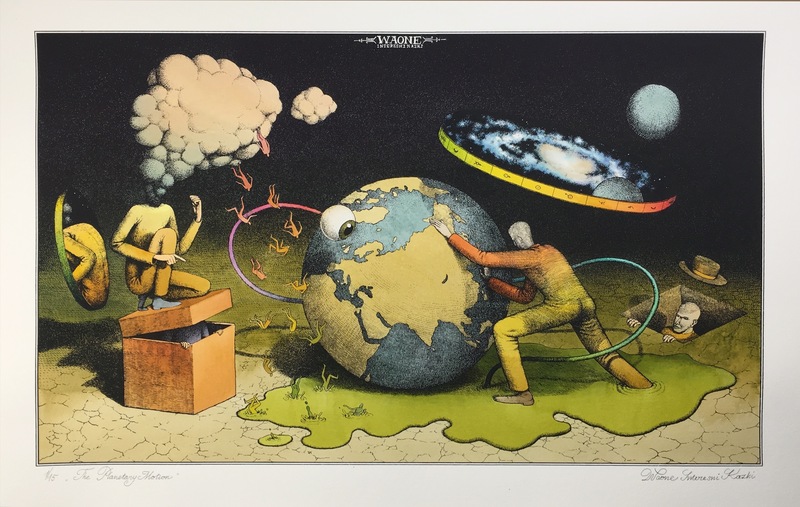 Half of the piece is left unpainted and shows the elements’ original colors.